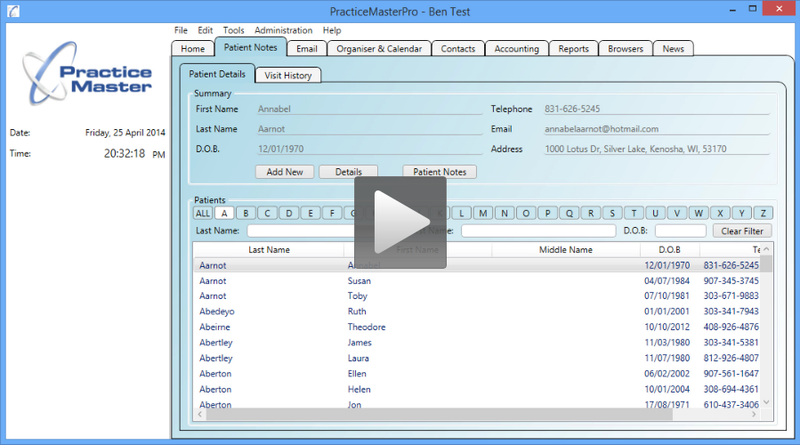 This page shows some videos of the main features in Practice Master Pro. The videos each run for around 4-7 minutes so can give a quick overview of the features in action. After watching some of the videos you might like to book a free online demo or you can jump straight in to the free trial to evaluate the software for yourself. Remember that all help and support is free of charge for the duration of your license and this includes your free trial period.